Though I'm expected to try an endless rotation of skincare products for the sake of reviews and maintaining a knowledge of the market as an editor, my outside-of-work self is quite brand-loyal. It's tough for me to work a new product into my routine and keep it there for more than a week or two. You can find my entire routine here, but the gist is this: I know what I like. And what I like is instant gratification. Blame it on my generational roots (I'm a millennial) or nationality (Americans typically like their return on investment as fast as they do their food), but I appreciate (and tend to expect) my skincare results by the next morning. This is why I'm a devotee of all things acids: lactic, glycolic, salicylic, hyaluronic, and the like. They all tend to offer an instant transformation of sorts. And of course, my beloved vitamin C serum brightens and evens my sallow skin by morning. 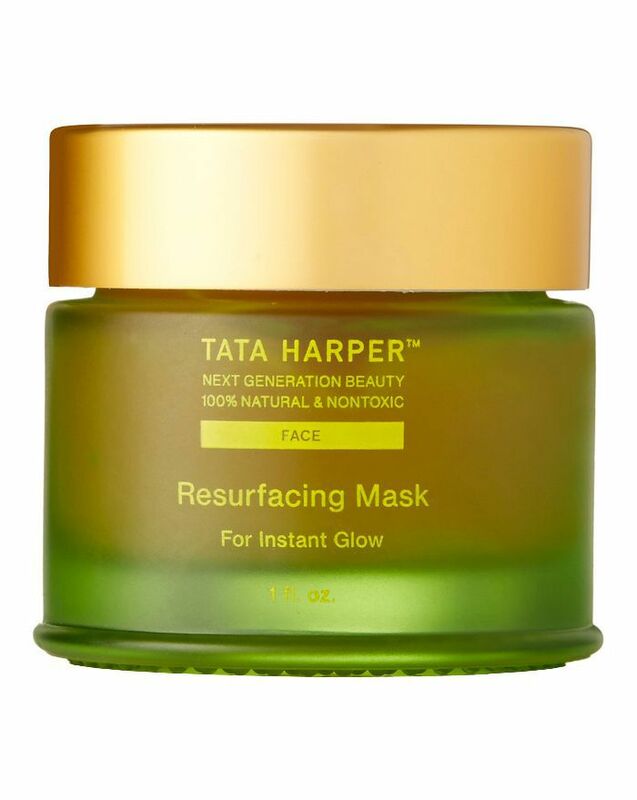 Such is the reason I've been a fan of Tata Harper's skincare for so long. She chooses real, good ingredients for all her products that are not only natural but also shockingly effective. She's also a fan of AHAs (my faves), so I find we're kindred souls in the skincare department. So when she reached out to me to try her newest serum, I jumped at the chance. Turns out it's a product she formulated with her Resurfacing Mask ($62) in mind—one of my favorites for a bright, smooth pre–night out canvas and an offering that somehow staves off my Botox appointments. "I wanted this formula to instantly create the glowing, dewy skin our products are known for while providing nutrition and additional high-performance ingredients to keep skin hydrated and luminous," Tata Harper said of her aspirations for creating the product. "This formulation contains 22 high-performance ingredients from 14 countries that I hand-selected to deliver these effects." Harper calls the product a "starter serum" because for her, an anti-aging product has been one of the most requested products aside from SPF. "I wanted to create a product for the younger age group because starting young is the ultimate strategy. The younger you start, the better your skin will be in the long run." The Resurfacing Serum ($88) contains nine acids (incredible), and these ingredients create an instant glow. Besides perfectly targeting me with this launch, Harper is looking to a younger woman, one who is not necessarily looking for anti-aging or firming products or who doesn't have wrinkles. "A young person's life is intense," Harper says. "You're studying, working hard, going out, and you don't want to look older than you are. This product is for the customer who wants to replenish their skin with vitamins and illuminize. This serum is meant to provide the essentials needed at a young age." Just because the serum was formulated with younger women in mind (Harper cites those in their 20s and 30s), that doesn't mean you can't use it past your 40th birthday. "In terms of results, it does work best on a woman who doesn't have wrinkles quite yet. However, it gives skin a glowing effect no matter what. For women outside of that age demographic, I recommend mixing the Resurfacing Serum with other anti-aging products to ensure you're getting both types of benefits. So when to use it? "Different from the Resurfacing Mask, which is used once in a while, the Resurfacing Serum is meant to be used daily. It gives skin a daily dose of glow, and I recommend using it after you cleanse. Your most important anti-aging step comes first, so you want to apply the serum on clean skin for maximum absorption. For those who tend to have drier skin, mix the serum with a face oil to get essential vitamins along with barrier protection and an extra layer of moisture." After your essence or toner, apply a pea-size amount to your face and neck. Follow with your favorite moisturizer. Harper recommends using it twice a day for the best results. First, tomato carotenoids. The carotenoids in these Israel-grown tomatoes are an incredible natural color corrector. Carotenoids are known to absorb UVA and UVB and, when exposed to sunlight, they emit a green light (which neutralizes redness) to make your skin look brighter. "Tomato carotenoids are an incredible innovation for skin luminosity and tone evening," says Harper. "They absorb sunlight and reflect that light across the skin like a prism to create the look of an even, bright skin tone." Harper laments, "Skin cell turnover reduces by 7% every 10 years, so exfoliation is a key part of any skincare routine—not only for the glow it yields but also for maintaining healthy skin. This formula contains seven sources of AHAs and two sources of BHAs, including salicylic, lactic, glycolic, citric, malic, and tartaric acids, which come from plant sources like meadowsweet, sugar maple, and bilberry." An Australian superfruit, Kakadu plum is a naturally powerful antioxidant. Not only does it enhance radiance to brighten the overall look of your skin, but it also helps fight the damaging effects of free radicals. See, free radicals from environmental factors like pollution are also responsible for accelerating the visible signs of aging. "Antioxidants scavenge and neutralize free radicals, which is why we made sure this formula contains nine powerful antioxidants," Harper notes. "Kakadu plum, for example, is the world's highest source of fruit-based vitamin C, 100 times more than an orange. Sea buckthorn and red gromwell are also high in vitamin C and help prevent collagen degradation." The last key ingredient is squalane. "Our squalane is derived from olives, but it's also a natural component of skin sebum," says Harper. "Squalane is a skin quencher known for its moisturizing properties; it conditions skin to restore softness and smoothness and helps keep your skin hydrated without leaving an oily residue." I decided to give the serum a week in my arsenal before deciding whether or not it got a permanent spot. I incorporated it into my usual skincare routine, directly after my toner and before my moisturizer. It felt great as I applied it, cool to the touch, lightweight, and easily absorbed. It was nighttime the first time I used it, and I couldn't help but feel excited for the results I'd wake up to. Come morning, sure enough, I was radiating dew. My skin looked bright, clear, and more even than it had in a while. I decided to throw my Resurfacing Mask on prior to applying for kicks and amp up the results. The entire day was peppered with compliments on my skin. This went on for, I kid you not, seven days straight. There wasn't a single day during the testing time period that someone didn't mention how nice my skin looked. I was sold. Usually, my skin will look great for a few days, and other days it isn't as bright. Whether it's what I ate (or drank) the night before, how much sleep I got, or if I'm closing in on my period, it just happens that way. Not so with this thing. This is a full-throttle, good-skin-giving bottle of pure magic. It's officially been eight days, and I'm still going strong with this serum. I don't miss the ones I've swapped out because the results are even better. I feel properly exfoliated, smoothed, and brightened each time I wash my face and apply. I can't stress enough the importance of serum (that's for all you 20-somethings out there who have yet to start using it) and can offer my consistently makeup-free face as proof it works. Speaking of good skin, as an FYI, Rihanna got this contouring facial before the Met Ball, so I did too. 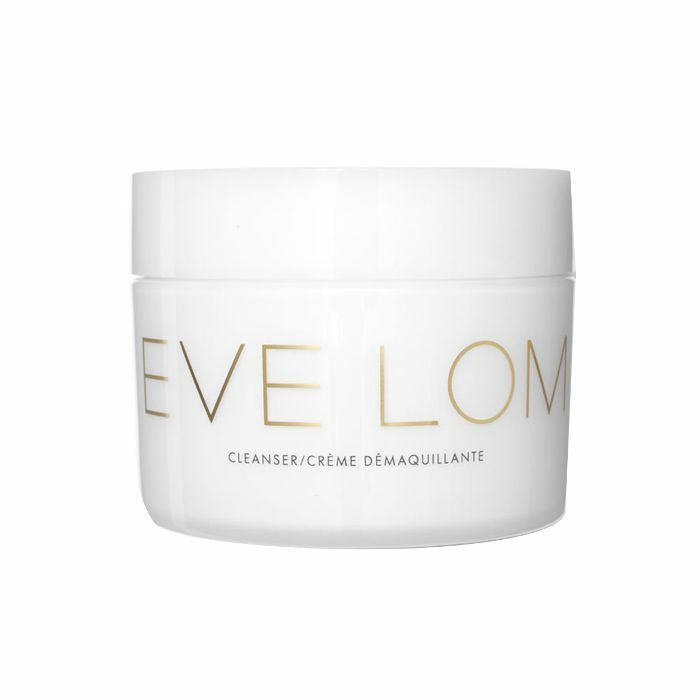 Almost every editor at Byrdie HQ has given in to the magical powers of Eve Lom's cleansing balm. I keep samples of it around in every pocket, drawer, and bag I come into contact with. The formula helps improve circulation, open your pores, cleanse, exfoliate, and tone your skin all in the amount of time it takes to massage it into your face. The blend of essential oils—chamomile, eucalyptus, and clove—work to melt away dirt, oil, debris, and makeup all the while smelling like a spa. I'll never give up the Eve Lom Cleanser, but in the case of hormonal breakouts, I double-cleanse and follow the balm with Tata Harper's newest wash. The all-natural cleanser features 17 high-performance ingredients to cleanse away surface impurities—while maintaining hydration to leave the skin feeling cool and refreshed. 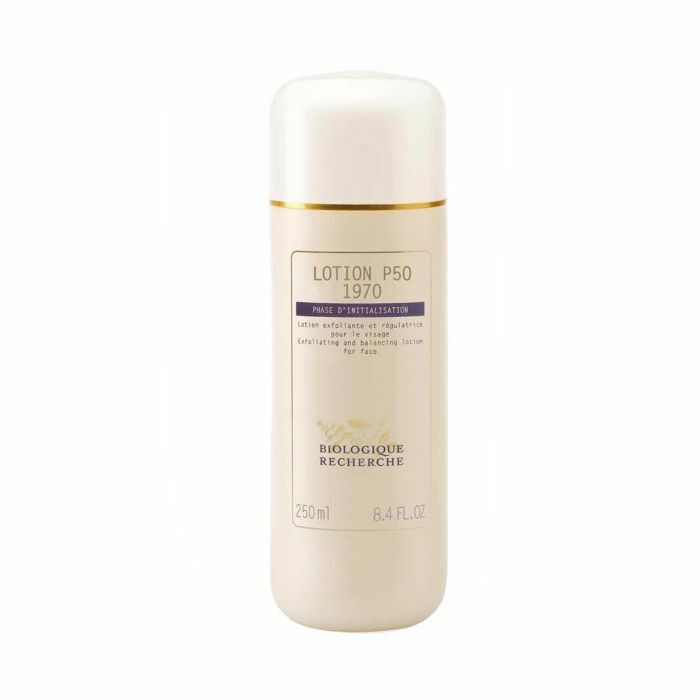 After cleansing, I move to toner, specifically Biologique Recherche's Lotion P50 1970 ($65). I apply had the tingly, vinegar-scented formula and take note of how well it shrinks pores, buffs out discoloration, and evens my skin tone. 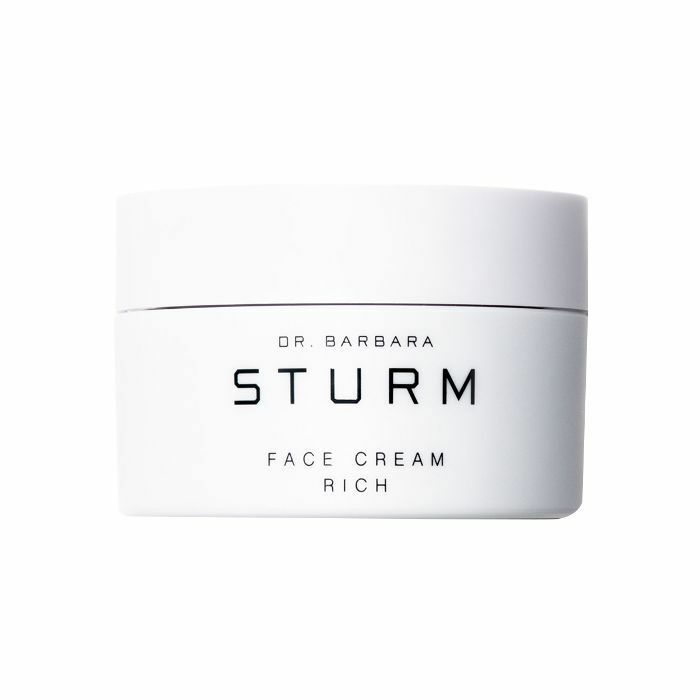 Dr. Barbara Sturm's Face Cream Rich is my most treasured moisturizer—I use it morning and night to finish off my multistep routine. Sturm herself calls it "your cell spa while you sleep," as it is so intensely regenerating. 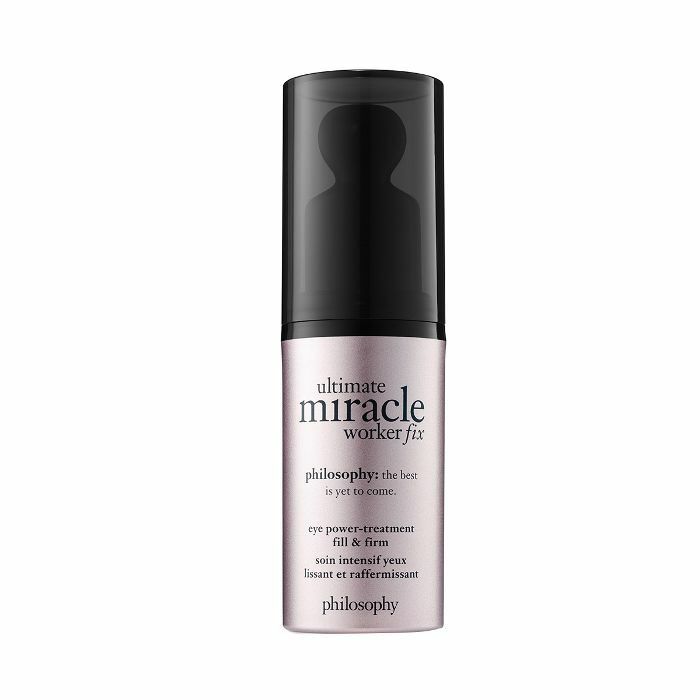 Like most eye creams, this one vows to target fine lines, reduce the look of dark circles, and support natural collagen production—only it actually does instantly brighten your under eyes. 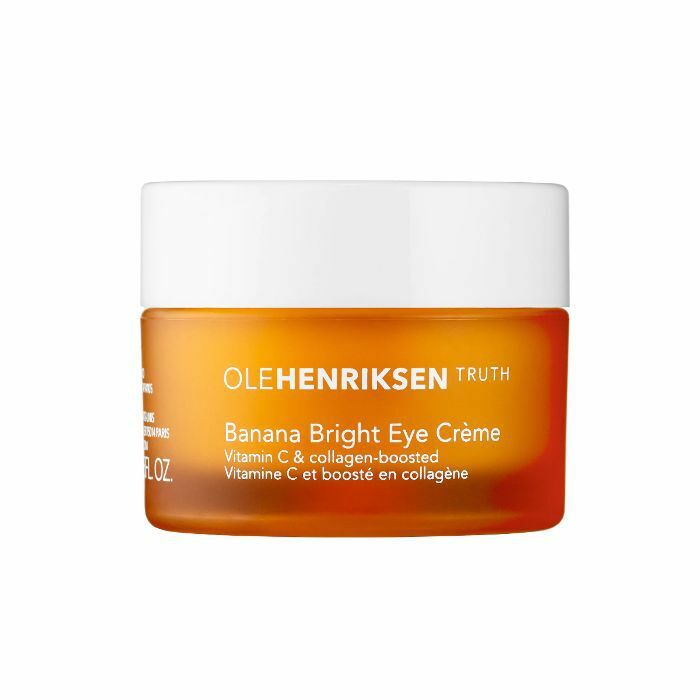 The formula is inspired by banana powder, a product used to color-correct dark under eyes, and it contains yellow pigments that actually do that. I use it during the day under makeup. For nighttime, I use this little gem. 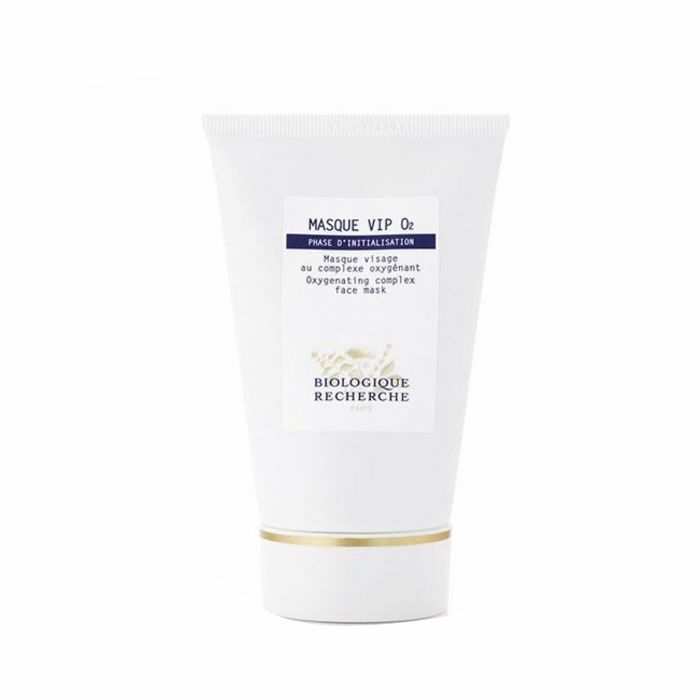 It blends together actives including a bi-retinoid, soy peptide extracts, and hyaluronic acid to visibly plump, firm, and densify skin; fill in the appearance of hollows; and target any budding wrinkles. Each week, I spent 10 blissful minutes with Renée Rouleau's Triple Berry Smoothing Peel ($87)—a professional-strength, at-home exfoliant facial peel that gently buffs away dullness. It contains a blend of antioxidant-rich berries, fruit AHAs, BHAs, and enzymes to clear out any clogged pores, fade post-breakout marks, lift discoloration, and stimulate cellular renewal. This mask is an oxygenating, moisturizing antipollution treatment that restores stressed, asphyxiated skin—which is exactly what happens when you're hungover. 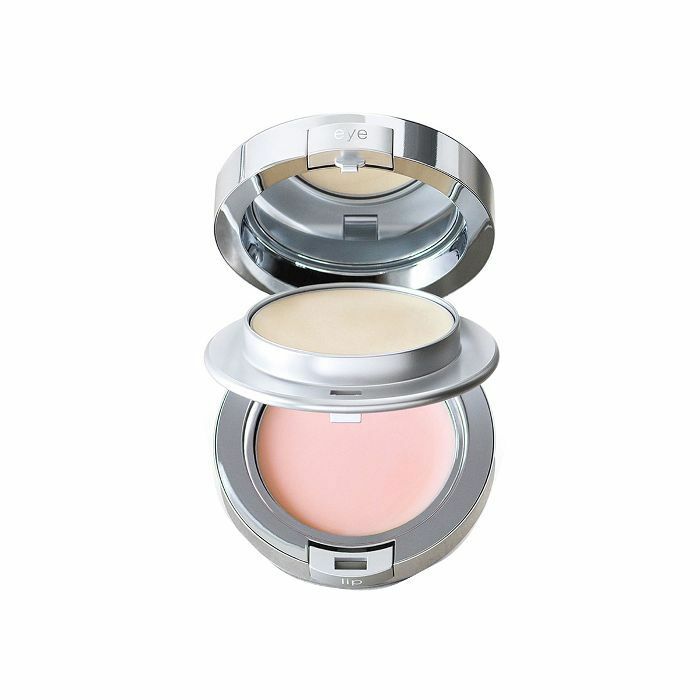 I finish off with a hydrating swipe of the La Prairie lip balm from this handy little compact. It keeps my lips from ever getting chapped (seriously) and has a pretty, sheer pink finish.